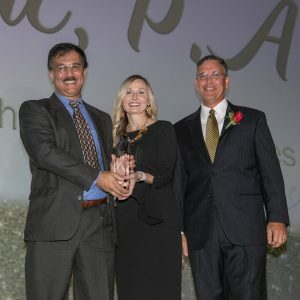 Bond Clinic awarded 2018 Large Business of the Year - Bond Clinic, P.A. Bond Clinic, P.A. 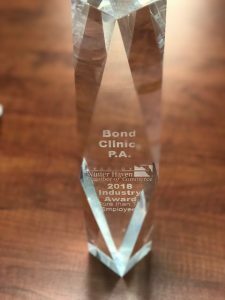 On Thursday, September 20, 2018, Winter Haven community leaders and businesses gathered for the Winter Haven Chamber Annual Celebration and Bond Clinic was awarded Large Business of the Year. “We are humbled and honored to have been selected by Winter Haven leaders from a pool of many qualified nominees. 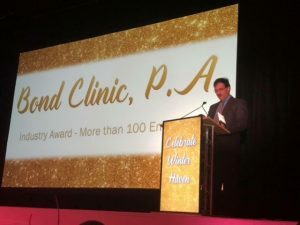 Thank you to every physician, provider and employee for your hard work – this award is a direct reflection of your dedication to our patients and the continued investment in our city!” said Ashley Scanlan, Bond Clinic Marketing Director. Bond Clinic is one of the oldest businesses in Winter Haven, celebrating its 70th anniversary this year. It has grown from 4 providers in 1948, to over 90 providers today, supported by over four-hundred employees. Tackling one of the greatest issues affecting Winter Haven, Bond Clinic P.A. is expanding access to healthcare at a rapid pace. 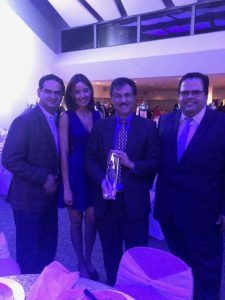 Their CEO, Dr. Iakovidis, set out on a journey many years ago with a plan for Bond Clinic to provide quality medical care, close to home, with reduced cost and greater access. Many would say that was a lofty goal, but with diligence and teamwork they continue to make that a reality for Winter Haven. That goal coupled with the determination to support the community with time, talent and treasure has given them opportunities and new relationships like never before. In 2018 alone, 16 new providers have joined the clinic. 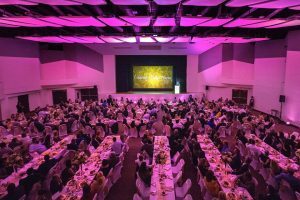 They also opened their largest campus in 20 years in partnership with Six/Ten LLC. This expansion, located on First Street in downtown just block from the original 1948 clinic, houses Pediatrics, Oncology, Thoracic and Vascular Surgery, Nephrology, Pulmonary and Sleep Medicine, Internal medicine and expanded Urgent Care hours, now open 12 hours a day, 7 days a week. Over a 70 year history, Bond Clinic has proven that when you support the community, the community supports you. In the last year, Bond Clinic has provided free health screenings and information at over 45 events. They are the medical provider for the Florida High School Athletics Association Basketball Finals, Florida State Soccer Association, Florida Tropics Soccer Club and the official Orthopedic Surgeon for the Lakeland Magic, to name a few. Bond Clinic leadership and staff have been involved in dozens of charitable events throughout the year including sponsoring the American Heart Association Heart Ball, fielding a 60-person team and sponsoring the Heart Walk, sponsoring and providing a 40 person team at Relay for Life and running a “Be the Match” Bone Marrow Drive for their employees and the community at large.